Students in Newark, New Jersey, walked out of class earlier this month in protest of the “One Newark” plan to privatize the district’s schools. A substitute teacher reflects on the action. Watching young Newarkers march through the streets demanding educational justice animated every revolutionary fiber of my being. “This is what democracy looks like,” students proclaimed as they took to the streets. I was proud, to say the least. Here was a group of young people, Newark students, articulating visions of justice and engineering pathways to freedom—all while suffering under the yoke of an oppressive (mis)leadership, all while living in a society that renders their lives, their bodies and their education less important than that of whiter, wealthier peers. It was Wednesday September 10, and I had a decision to make. I could teach as a substitute and make a little over $100—money used to pay bills and sustain myself—or, I could participate in the student walkout. Since becoming a Newark Public Schools (NPS) employee, I’ve witnessed firsthand the gradual deterioration of the city’s now-crumbling school system. I saw students frustrated with the lack of resources, parents disillusioned with broken promises, and an entire community enraged by the dubious direction in which their city’s schools are headed. When the call came asking me if I could sub, I thought to myself: the money is important, but the movement is imperative. I joined the students and walked out. 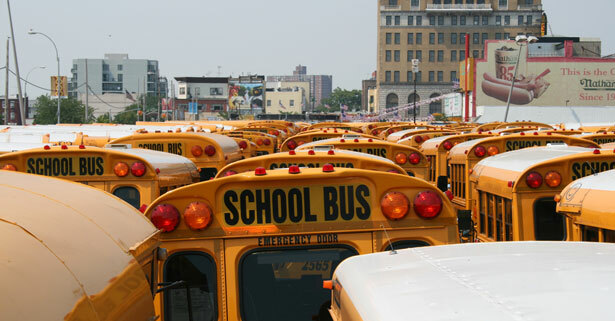 Newark, New Jersey’s largest city, boasts its largest school district. Due to so-called poor academic performance, including low test scores and high drop-out rates, the state “intervened” in the district nearly twenty years ago with the promise that improvement would follow. It did not. But community distrust did. The volatile political climate churning under the city’s surface during the 1995 state takeover eventually came to a head, erupting into chaos when Superintendent Cami Anderson was appointed in 2011—the same year I was hired. And yet, of all the criticism levelled against “One Newark” both at the local and national levels, it has been the students who have made the most noise. The movement has been led by youth and supported by a community that is demanding local control. “Hey, hey! Ho, ho! Cami Anderson’s gotta’ go!” was one of many chants I heard on the day of the walkout. Around the same time students across the country were pledging allegiance to the flag, a crew of Newark youth was pledging allegiance to the fight for their collective future. The Newark Students Union organized the walk out. Founded in 2012, one year after Anderson’s appointment, the NSU is a student-run and community-led organization. According to its Facebook page, it operates “with the goals of protecting student rights, ensuring [students] receive a quality education, and empowering the student voice in the political process.” Guided by that vision, NSU members—alongside other Newark students—walked out of their schools to protest the now notorious One Newark plan. The city is home to nearly 40,000 students. And as Checo says, this house is burning: politically and socially. The repressive fire of state appointments and top-down policy is challenged daily by the revolutionary fire of student actions and grassroots power. Newark schools may be state-run, but the streets—as protesters reminded us through their chants—are “students’ territory!”. Newark students are not alone. What’s happening in Newark is a microcosm of a larger trend sweeping urban America. From Chicago and Philadelphia to New Orleans and Brooklyn students are rising up and fighting back against the push to privatization and the burgeoning charter school movement. The fire that burns in Newark burns throughout the nation. The spirit of student power is rising among the children of America’s chocolate cities. And no politician nor policy can stop them. Student protesters have made the city their classroom and the current political conditions their curriculum. As the situation radicalizes Newark students, so too are Newark students radicalizing their situation. Despite the plight of public education in the city I call home, I take heart in knowing that a group of brilliant and brave young people are willing to “walk out” so those that follow after may “walk in” to a new, more just, collective future. Sure, I didn’t get paid. But the experience I had and lessons I learned are worth more than anything money could buy. I walked away from the action with a different kind of currency: a fire fierce enough to transform this city’s schools, and revolutionize the way we think about education for good. Nyle FortTwitterNyle Fort is an ordained minister, grassroots organizer, and freelance writer based in Newark, NJ.